At the beginning of the 2008 football season, there was speculation that, at year’s end, some of the Massachusetts football team’s seniors would be suiting up in the National Football League the following season. That speculation became reality on Tuesday when former UMass cornerback Courtney Robinson signed a rookie free agent contract with the Philadelphia Eagles. 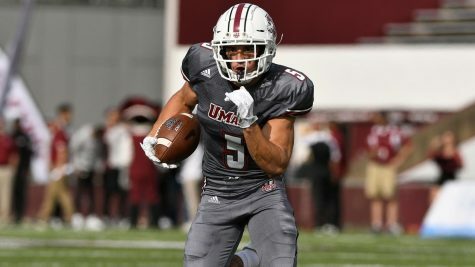 Robinson, who, like former Minutemen Liam Coen and Sean Smalls, went undrafted in this weekend’s NFL draft, was offered contracts by several NFL teams but ultimately signed a three-year deal with the Eagles because they gave him the best chance of making the 53-man roster. While Robinson is the only player to have signed a deal so far, other players are expected to at least get a chance at an NFL camp as pro teams look at undrafted free agents. The two-time all-Colonial Athletic Association defensive back ‘- UMass’ all-time leader in kickoff return yards (1,388) ‘- began his career at Connecticut but transferred after just one year with the Huskies. As a senior, Robinson recorded 35 tackles, one sack, 11 pass breakups and no interceptions, earning him first team All-Conference honors. If Robinson ultimately makes the Eagles roster, he will join a handful of former Minutemen that went undrafted and went on to have successful careers. Former running back Marcel Shipp has played eight years in the league while Brandon London, who is currently on the Miami Dolphins, won a Super Bowl ring while he was on the Giants during their championship run. Forgoing offers from Maryland, Cincinnati, Charlotte and Louisville, Terrell Vinson closed out UMass coach Derek Kellogg’s recruiting class with a high note with his commitment last week. A 6-foot-7 forward from Baltimore, Md., Vinson was the final piece to the recruiting puzzle for the Minutemen. And what a piece he was. 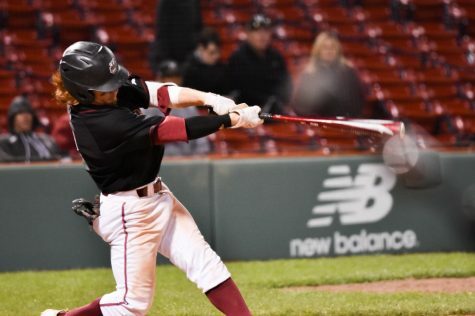 Vinson, one of the most highly-touted recruits that UMass has signed, was ranked as a four-star recruit by college sports and recruiting site Rivals.com. He was also tabbed as the 90th best recruit in the nation in the Rivals150 for 2009. After transferring from Montrose Christian to St. Frances, Vinson recorded 23 points and eight rebounds per game as he was named Baltimore Sun All-Metro after his senior season. Vinson had first committed to Loyola Marymount but withdrew after Loyola coach and former UMass assistant Bill Bayno left his position. 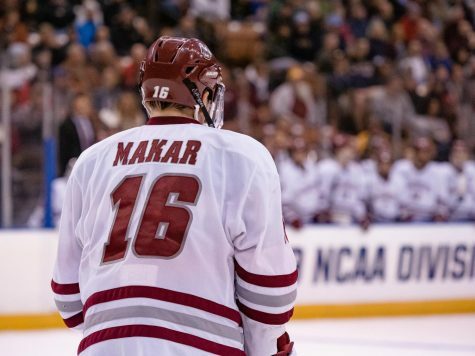 After Vinson re-entered the recruiting process, the Minutemen used their connections to draw the forward to Amherst. Gerald Stokes, Vinson’s former coach, met Kellogg during a visit during the now-coach’s playing days. 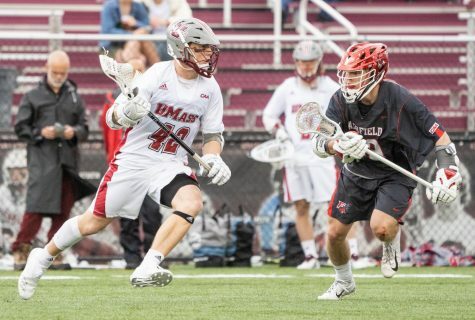 Stokes had been in contact with Kellogg ever since he was named the head coach at UMass. 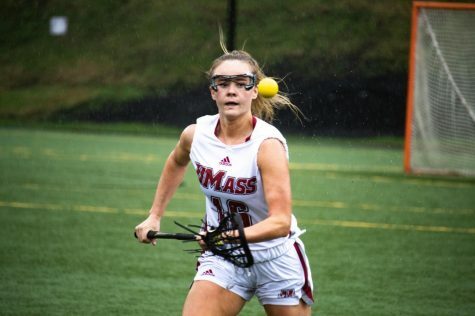 Not to be outdone, the Massachusetts women’s basketball team signed a major recruit of their own. Jasmine Watson, a 6-foot-3 center from South Bend, Ind., joins guard Danielle Montgomery and forward Shakia Robinson as part of the Minutewomen’s 2010 recruiting class. 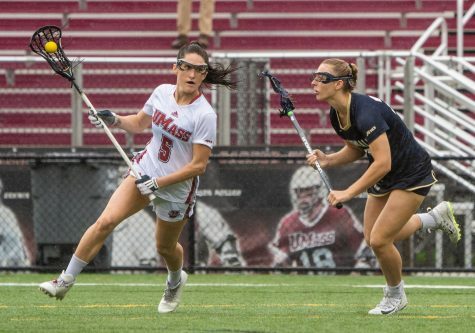 Ousting soon-to-be sophomore Nicole Jones by one inch, Watson becomes the tallest player on the UMass roster. 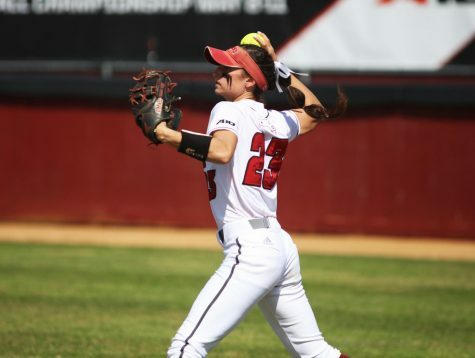 She joins Jones and Teya Wright as part of the team’s corps of post players. Representing a mobile presence in the post, Watson averaged 11.5 points, 8.7 rebounds and 2.2 blocks per game during her senior season, her lone year at South Bend Washington. During that year, Watson was named and an All-State High Honorable Mention and as an Indiana Coaches of Girls Sports Association second teamer. For the first three years of her high school career, Watson was a standout at Elkhart Memorial High School, where she totaled 693 points, 607 rebounds and 191 blocks in just three years. Joining Watson will be the 5-foot-8 Montgomery and the 6-foot-1 Robinson. Montgomery, who, as a senior, averaged 14.5 points, 2.8 steals, 3.3 assists and 4.4 rebounds will be needed to fill the void in depth at guard with the graduation of leading scorer Stefanie Gerardot and key defender Sakera Young. Robinson, meanwhile, will help a unit that relied heavily on guard and post play last season. Kristina Danella, a freshman last season, was the only true forward on the team to average over three points per game ‘- mostly because of her perimeter shooting.